In the aftermath of the First World War, many pilots from the war returned home. Eager to continue flying, they began to perform daredevil tricks in front of crowds, and the tricks only became more insane. 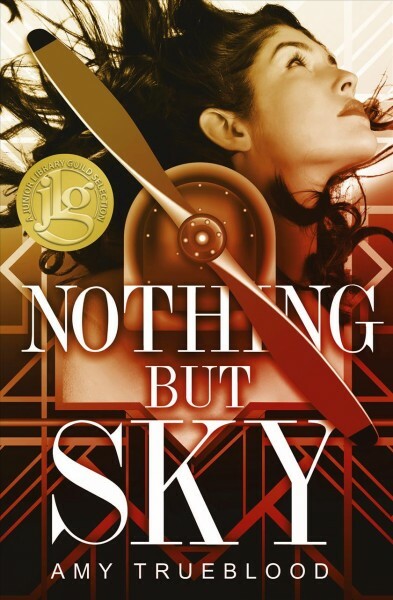 Nothing But Sky is a historical fiction novel set in 1922 about a young girl named Grace Lafferty and her stunt crew. They overcome trial and tribulation to reach their final goal, a performance at the coveted World Aviation Expo in Chicago. However, money is always an issue, and their team, the Soaring Eagles, is always short of it. Amy Trueblood writes a masterful story that mirrors the real-life teams of aerial acrobats that performed death-defying stunts thousands of meters in the sky. The 1920s is often an overlooked decade in American history. Truth be told, while the rest of the world was reeling from the shock of the Great War and the economic destruction it left in its wake, America’s economy was booming. However, the 1920s are only really mentioned in reference to the 1930s Great Depression. Thus, a novel based on this time period was only waiting to happen, and although there are some mistakes with Nothing But Sky, Amy Trueblood faithfully executes the story in a very historically accurate manner. While other stories look at modern-day feminism, Nothing But Sky is an interesting glimpse into the time period where women could vote but not hold equal jobs to men. Its portrayal of women in the skies is entirely accurate as well, with many women taking these jobs during the 1920s. There are some issues with this novel, though. First, small grammatical mistakes pop up infrequently. At times, sentences miss periods. Second, and more importantly, the ending felt quite rushed. There are many plot points packed into the last pages of the book, which felt overwhelming. Despite this, Nothing But Sky is an enjoyable read and should be recommended to any adolescent interested in history. 3.5/5 stars.